This week I have a finish to report. 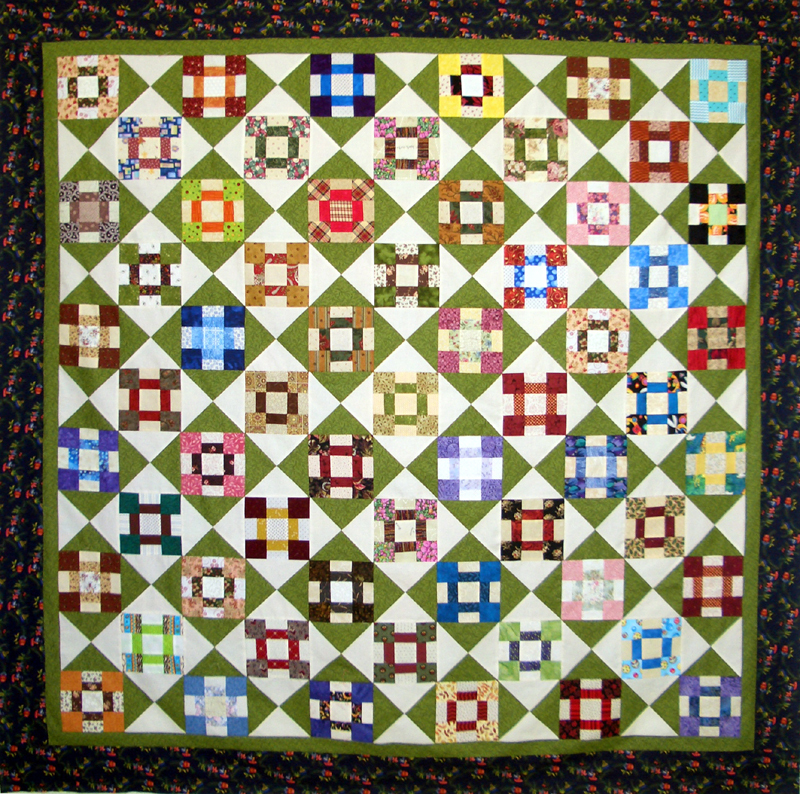 I finally got all the blocks sewn for Chunky Churn Dash quilt. Put the borders on today and hooray it is done. Well almost, still need to quilt and bind, so it will go into the que. No purchases to report- have not had time to visit any of the local shops! So here are updated numbers so far. Looks like you changed your mind with the inner border fabric. Didn't you audition a pinkish fabric? Looks great! What's next? 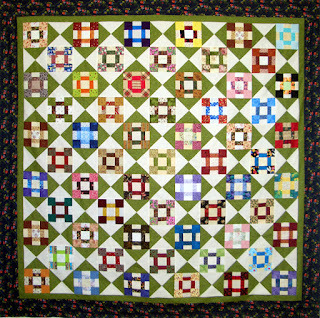 Love, love, love this quilt! It's all cuteness. Have a super day!